Google interprets your site and it’s content in specific ways. Cute videos about puppy’s don’t get them in the feels, and the Google Bot relies on other ways to determine how valuable your content is. Some of the first things to consider when trying to create quality content is whether or not Google will consider it good quality for SERP. 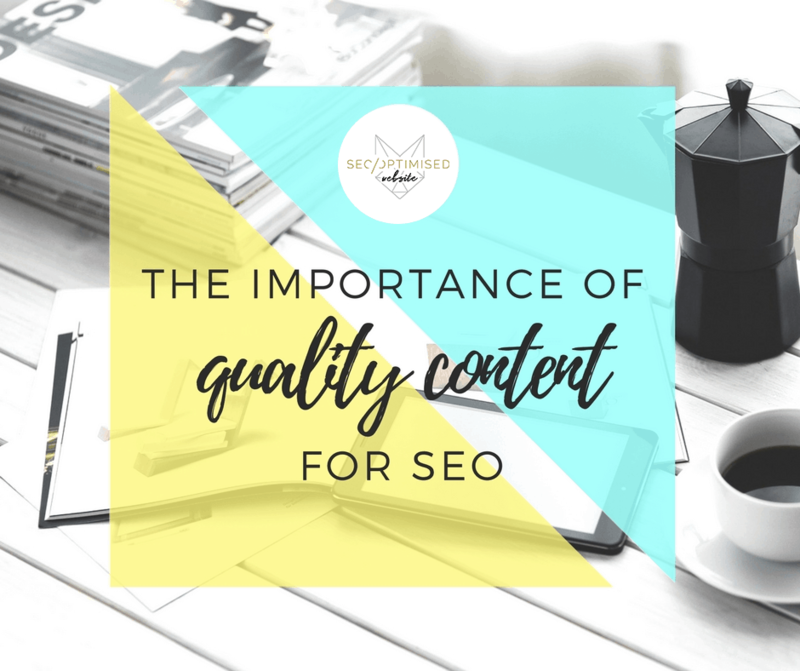 Google is always trying to improve their search results, which makes it imperative for you to provide content that is informative with good quality that searchers can benefit from. This is the point at which quality content becomes complicated. Make enquiries from customers who come into your store. Look for your audience on social media, and join their discussions. Solicit for ideas about topics using the email on your website. They best way to provide value is to discover what your customers desire to know. Tip: You can create blog posts about questions that are asked regularly or any new service. Posts like this, can increase your SEO and demonstrate to Google that you are providing your consumers with answers to their questions. Quality: Good, informative and well-written content with a lot of authority. Uniqueness: Produce contents and thoughts that are unique and cannot be found anywhere else on the internet. This is very essential as inability to accomplish this can result in a fall in SERPs. Relevance: Offer content that is linked to what you do or are offering. Although keywords are valuable for your website’s SEO, it is not the most essential factor. It is much more important to offer valuable content that is well-written and provides authority in particular areas. Allocate time to carry out keyword research and weave them into the pages that you create. Avoid stuffing or trying to play a fast one on Google, for it will surely backfire and it is not always easy to come back after making these mistakes. Social Shares: If the content is of good quality, it will get social shares. The quantity of social shares, indicate the quality of the created content. Links: Although contents without links do not necessarily lack value, content with links, are however encouraged. More links usually lead to better content quality. Comments: It may appear like people don’t really comment on blogs, but the truth is that comments are an indication that the reader is engaged and has an opinion about what you wrote , which is actually a good sign. It is important for you to always have it at the back of your mind that content will always be king especially, if you wish to have your website ranked high in SERPs.